Collects the first year of BOOM! Studios' hit Mighty Morphin Power Rangers comic book series. Longtime fans of the smash-hit show Mighty Morphin Power Rangers, and newcomers to this ensemble driven series, will discover a deeply compelling world packed with highflying adventure and tremendous heart. Welcome to Angel Grove. Home to the Power Rangers and weekly monster attacks. Tommy Oliver was the new kid in town when evil doer, Rita Repulsa, swooped in and made him the Green Ranger. Now, free from her mind control, Tommy struggles to find balance between the plights of high school, making new friends, and the dangers that come with being a hero. 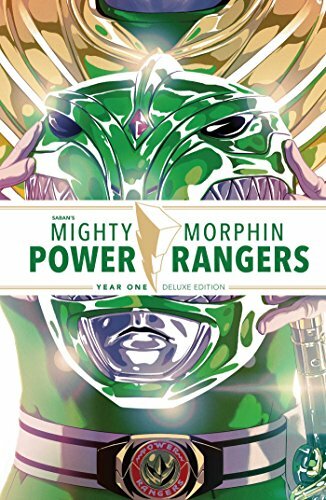 Writer Kyle Higgins (C.O.W.L., Nightwing) and artist Hendry Prasetya (Voodoo vs. Green Lantern) explore the untold story in the life of the Green Ranger as he struggles to overcome his demons and learns to trust again. If you have any questions about this product by BOOM! Studios, contact us by completing and submitting the form below. If you are looking for a specif part number, please include it with your message.